Place your most cherished family photos in this whimsical nautical inspired photo frame. Features decorative sea shells. Back easel. Holds one 4 inch x 6 inch photo. Display your most cherished family photos with this unique nautical inspired photo frame. Makes the perfect gift for any beach or nautical lovers. Will fit any nautical themed home décor. 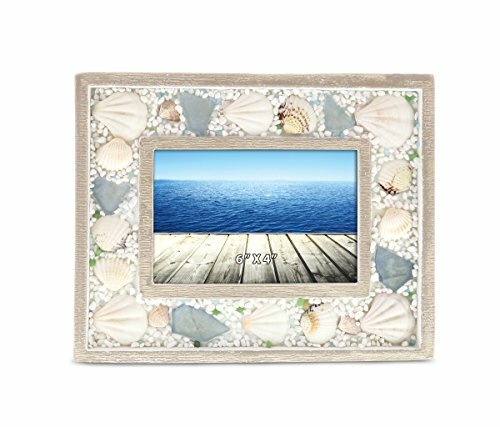 Includes one 4" x 6" photo frame featuring decorative sea shell inspired accents. Made from high quality wood that has been weathered to give it a rustic charm. Features intricate decorative sea shell pieces.